One Stop Affordable Hurricane Shutters Corp.
Fort Knox Fire And Communications, Inc. Comment: I would like to get an estimate for hurricane shutters to be installed on the front of the house. Comment: our smoke detectors are chirping. I replaced the batteries in all units but they are still chirping. I dropped one of them and probably broke it. As we have vaulted ceilings not much more I can do. Comment: I currently have one camera installed but not wired in. When I purchased it, I mistakenly thought it would operate wirelessly. My computer tech told me it must be wired in directly to my cable. This should be a quick job and I need to have it taken care of this week. Clermont Home Security Companies are rated 4.67 out of 5 based on 2,560 reviews of 23 pros. 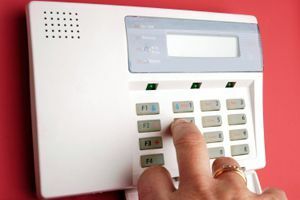 Not Looking for Home Security Services Contractors in Clermont, FL?